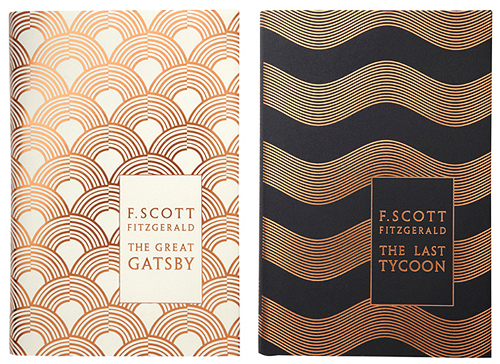 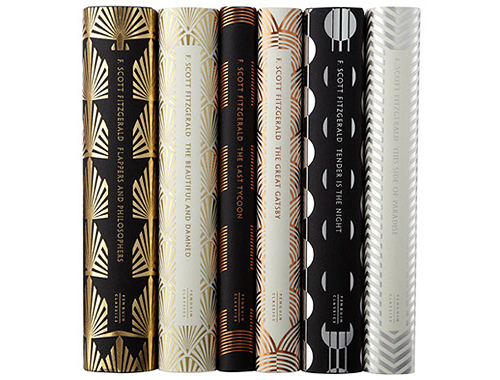 For this collection of six F. Scott Fitzgerald books, Bickford-Smith created metallic art deco covers that are slick and nostalgic at once. 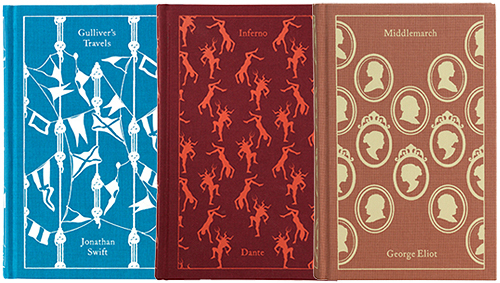 Very fitting. 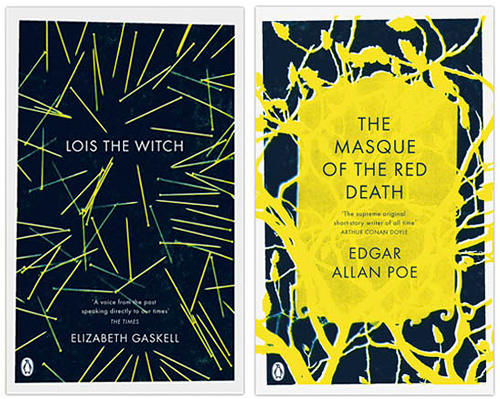 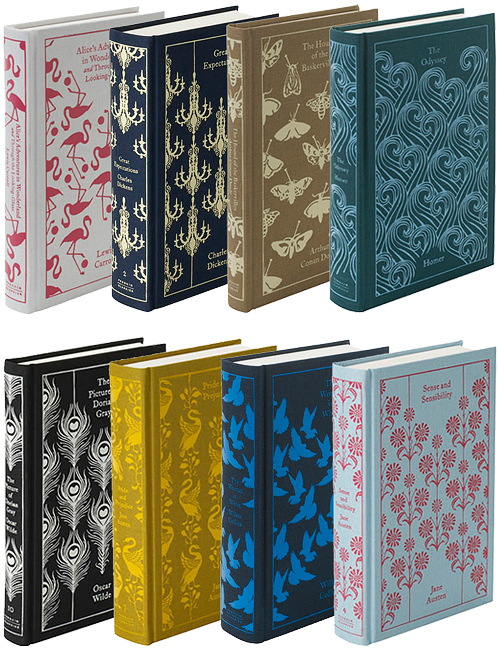 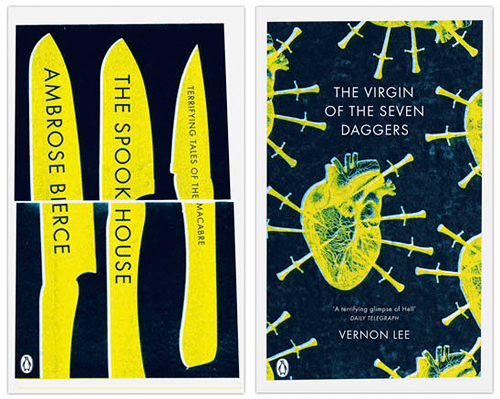 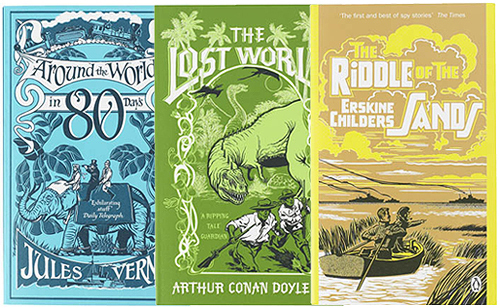 Bickford-Smith also designed the covers for the immensely popular Penguin Classics hardcover clothbound series. 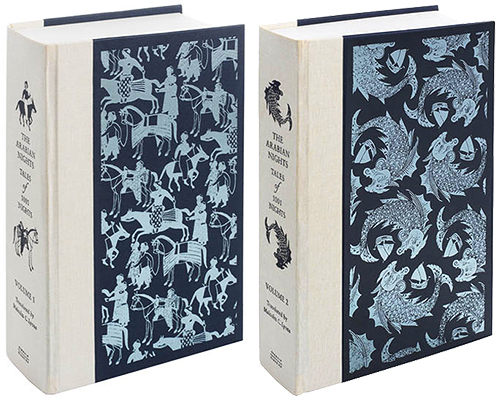 The charming, whimsical patterns designed for each book are stamped on linen cases. 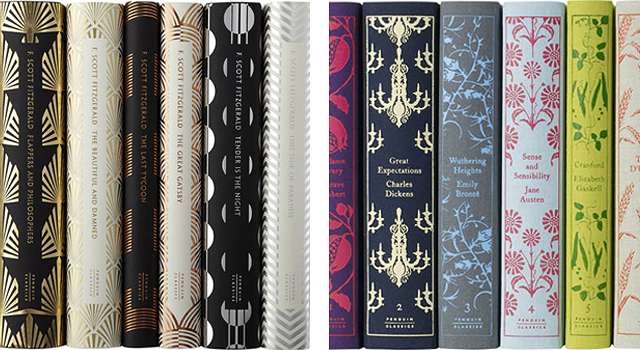 The first set of 10 books was released in 2008, and the collection has been growing ever since. 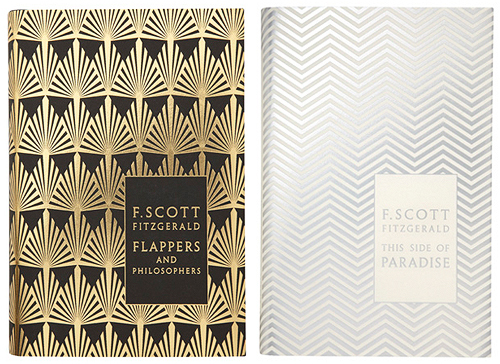 Designsponge has a great interview with Bickford-Smith where she talks about her process and inspirations for the series. 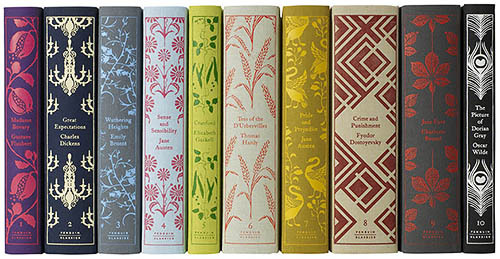 See all of Bickford-Smith’s work at her website.